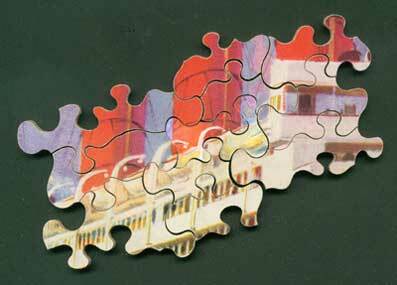 We hand make one-off or small runs of puzzles with or without images supplied by customers. We do not make cardboard puzzles. 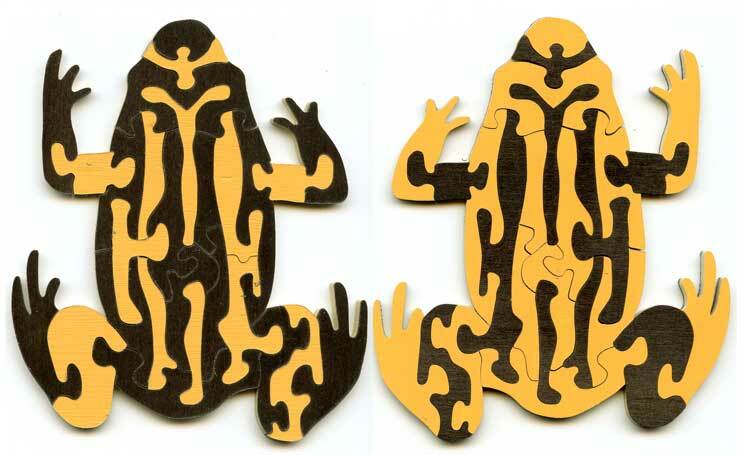 Because we are not limited by templates, we can make puzzles of many sizes and shapes. The largest, fully interlocking puzzle with straight sides that we can make is 55 x 55 cm (or ~60 x 42 cm for more conventional ratios of sides). Larger sizes by negotiation. 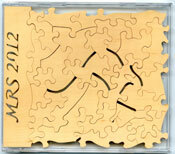 Pieces missing from wooden jigsaws can be replaced. This is an expensive process, so the puzzle should have financial or sentimental value. Puzzle can take different shapes. Shown below are puzzles in the shape of a teapot, and a pelican.